EMG (electromyography) and Nerve Conductions Studies are carried out by Consultant Neurophysiologists. They are experts in the function of nerves and their ability to ‘transmit messages’ through our limbs and bodies. The Consultant’s measurements (and the observations made from the tests) may help find out if problems are being caused by trapped or damaged nerves in arms, legs, neck, back or face. The tests can investigate a wide range of nerve and muscle disorders. The Consultant Neurophysiologist’s findings can help other Consultants, such Consultant Orthopaedic Surgeons, to decide upon the most appropriate form of treatment. Neurophysiology is a relatively specialist areas and the number of Consultant Neurophysiologists is limited. 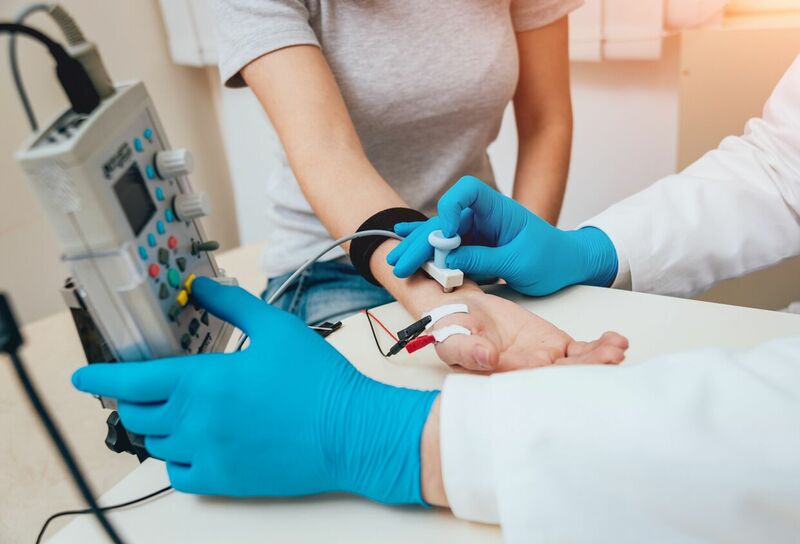 Arranging EMG and Nerve Conduction studies entails ensuring availability of the service and careful management to ensure patients are able to attend for the treatment. TraumaCare has been arranging EMG and nerve conductions studies for a considerable number of years.The team understands the issues involved and is able to ensure the tests are provided quickly and with the least inconvenience for the patient as possible. Please note, whilst the health risk of these tests is thought to be low, as with any medical procedure, there is an element of risk. It is therefore the policy of TraumaCare only to provide the tests where there is a positive health benefit to the patient.